» 2019’s Best Welding Respirators: Safety Is A MUST! Whether you are a hobbyist, amateur, or professional welder, you are being exposed to dangerous fumes and gases produced during the welding process. The levels of danger may vary, but hazardous elements in your welding fumes are omnipresent. When exposed to heat, fillers, bases, coatings, and paints create vapors and fumes. Protect your respiratory system from the fume plume and learn how to choose a quality welding respirator for your welding projects or profession. 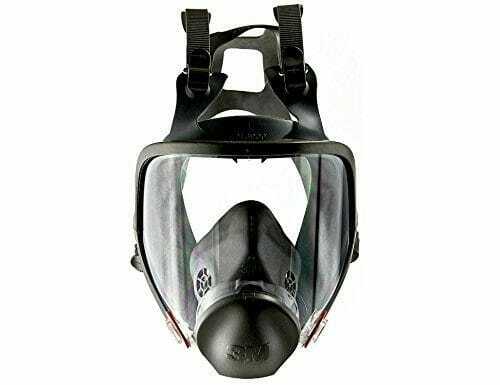 By Gregory Sanders: This article has been updated to reflect the most accurate information regarding welding respirators available for those who are interested in welding protection. The best 5 available have changed, and information has been added to assist individuals in finding the best welding respirators currently available on the market. The FAQ has also been updated. The respirator is designed so that your eye protection still fits comfortably on the face. Reviewers also report minimal fogging up of eye protection while using this respirator. The filters for this brand are a great value and long-lasting, which saves you money on protection. The mask comes in small/medium and medium/large. This helps you get a better fit for your face and head size to maximize clean air flow. The respirator features a large non-return exhaust valve to help reduce on-the-job fatigue. Some users had trouble fitting the mask underneath their hoods while other users said it fit just fine. While this mask does overtime when it comes to particles, it does not protect users from all chemical fumes. This is one of the cheapest quality masks on the market. In addition to our own positive experience, it has a high average rating from over 1,000 Amazon reviewers. The mask is oil-proof and this even includes protection against oil-based aerosol particles. The filters are affordable and easy to replace. Once your filter has been used, you simply switch it out. While this mask works wonders with particle based contaminants and oils, it does not protect against gases and VOCs, even from aerosols. Many buyers complain that the mask does not come equipped with the filters as promised by online sellers. Be sure to purchase your own filters in advance. The large valve help to reduce the user’s breathing resistance and prevents condensations from your breath from building up inside the mask. There are 4 different positions that the mask can be adjusted to for customizing your fit even further. This isn’t your average respirator as far as looks go. This mask has a kind of futuristic feel that users found to be more aesthetically pleasing when compared to other masks. This is a P100 mask that is oil proof and protects against particles. It comes ready-to-use with 2 filters that protect against marble, gypsum, titanium oxide, soapstone, rock wool, wood, detergents, textile fibers, spices, salts, feed, coal, silica, asbestos, mold, and more. Some users complain that the flap that lets air out makes a noise with each exhale. While it is very minor, it might annoy some people after hours of work. This mask can be a little hot. Like most respirators, the rubber seal can become uncomfortable in high temperatures around the bridge of the nose. This makes it easy to drop down the respirator without having to remove the head straps altogether. Users rave about this feature in their reviews. It also keeps the mask properly fitted to your face without adjustment for longer and keeps the elasticity intact over time. This helps to keep the respirator cool inside. It works to reduce moisture and make breathing a whole lot easier. The machine can handle anything between 1/4’’ aluminum to 3/8’’ mild steel. The exhalation valve helps to move exhaled breath and moisture down to prevent any fogging of safety glasses or face shields. 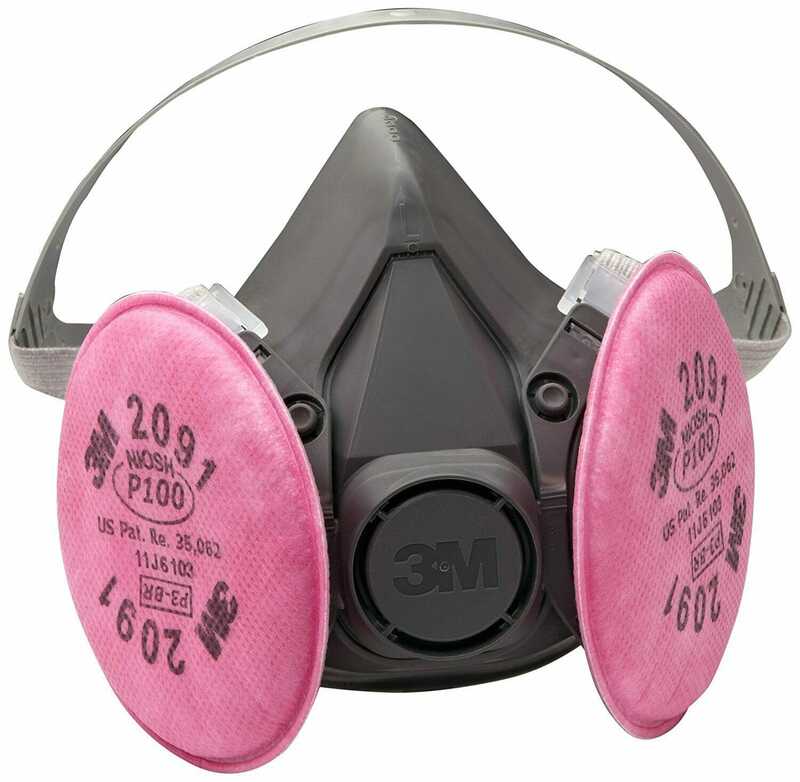 When used with the proper 3M cartridges and filters the respirator helps to protection up to concentrations 10 times the Permissible Exposure Limit. Many people found they had to size up with this mask even though they didn’t necessarily have a large face. The mask has a large lens and offers a lot of visibility for users. This mask comes in air-purifying and supplied air mode, whichever suits your needs best. The cool flow valve makes your breathing dryer and cooler to ensure comfort even in hot working environments. The government regulatory agency NIOSH has approved the 6000 series with 3M cartridges and air supply systems. It meets filtration requirements and offers a high impact level for face and eye protection. This respirator works with so many different filters and is so versatile that some users are complaining about it. There are hundreds of options each for different applications. There is a chart available, but it would be nice if it was easier to read. Users recommend you get a face shield protector to prevent debris from etching the mask. Once the mask is etched it is difficult to find the right size to replace it with. Why Should You Use A Welding Respirator? Welding’s silent hazards are numerous. Wearing a respirator is important because different welding materials present different hazards. The top culprits are filler metal, coatings, shielding gases, base metals, and various fumes created when heating these materials. Welding fumes contain hexavalent chromium and zinc, which can cause long-term damage to the respiratory system. 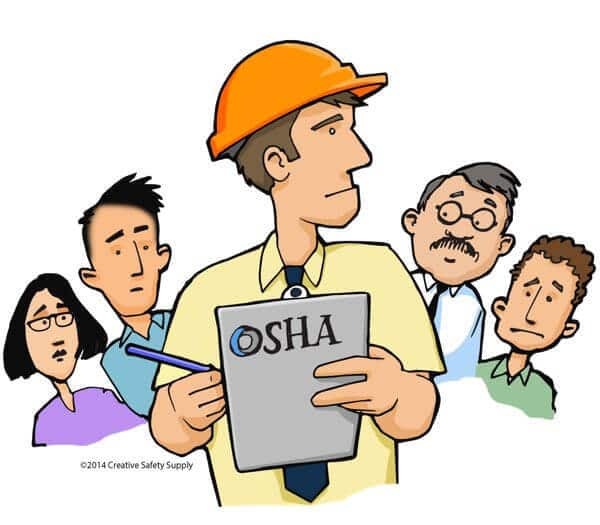 OSHA has limits in place to determine what qualifies as permissible exposure (PEL) to help protect welders from these two elements specifically. Beyond these two fumes, though, there are unforeseeable contaminates you may be inhaling. The bottom line is this: we really don’t know the consequences of long-term exposure to many of these fumes or even the content of the fumes themselves. Welding fumes are essentially composed of metallic oxides, fluorides, and silicates. While we might not be able to measure out the exact levels for every job performed, we do know that it is harmful to the body to inhale them consistently. Other hazardous factors to think about are the paints, coatings, and solvents that the materials you are working with may be coated in. These create another element of uncertainty and quite a cocktail of elements in your welding fumes. Respirators serve to let you breathe clean, uncontaminated air in and keep contaminants out. Half-mask respirators extend from the welder’s nose down to the chin. For these respirators to work properly, it is imperative that there is a tight seal around the face. The mask should be able to fit securely underneath a welding helmet without veering into the welder’s eye line. There are three different filters that are paired with half-mask respirators. Filters are then categorized further by filter efficiency (how much can permeate the mask). There are 95%, 99%, and 100% efficiency options available. The highest protection you can use is P100, a completely oil proof filter that keeps out 99.97% of airborne particles. This is another half facepiece option with replaceable filters. It is composed of a silicone facepiece that covers from nose to chin. The Elastometric respirator requires custom fitting. It is reusable after decontamination, which is a big plus for users. They can be used for both particulates or vapors if used with cartridges or canisters instead of only particle filters. Air purifying respirators use a powered blower to offer an air-purifying element via a hose into the welder’s helmet. This is a higher level of protection when compared with the half respirator. The system uses lightweight battery packs and shoulder straps to power the blowing units. Some Powered Air Purifying Respirators (PAPR) have flip-up lenses to expose grinding shields so that welders can either weld or grind without having to break the respirator seal or remove their helmets. PAPRs have filters that remove 99.97% of particles. Air flow from PAPRs not only purifies air, they serve to keep the welder cool. Supplied Air Respirators deliver clean air to the welder from an air-purifying panel via an air hose. These also serve to cool the air entering the welder’s helmet to prevent heat related injury. The sealed helmet is connected to the clean air as it is continually circulated throughout. What kind of contaminants will you be exposed to while welding? Is there proper ventilation in your work space? Are you at risk for overheating on the job? Consider these questions when deciding the level of protection, you will need. Consider how exposed you will be to contaminates. Will you need a half face piece or a separate air supply that goes to your enclosed and sealed helmet? Whether you go with a half facepiece or a sealed helmet respirator, if the seal is not strong your respirator will not be effective. The fit is crucial and cannot be emphasized enough. The mask should sit tightly on the face, not letting any outside air in through the edges. If you are not using a respirator with powered or supplied air, you will need to decide which percentage filter you will need. If you are working with gases or vapors you might additionally need a cartridge or canister. Know your contaminates and decide accordingly. It will be hard for you to do your job if your respirator is clunky or uncomfortable. It should be sized and fitted correctly and beyond that the design should be ergonomic. In recent years respirators have come a long way in this department. Having a comfortable respirator is key for productivity and encourages welders to wear their respirators at all times. If you are still confused about what type of respirator is right for you and your job, visit the OSHA website and use their online eTool to help you choose. There are a lot of respirators out on the market to protect your lungs and nervous system while you weld. That being said, there are only a few that may be right for your protection needs. Be sure to consider all of the factors we’ve discussed before purchasing a respirator and get it fitted for your face and to fit comfortably under your hood or helmet. Proper respiration is key to preventing hazardous particles, fumes, and vapors from entering your lungs. Invest in a respirator that will offer you the unique protection your welding activity requires.